Design your own with inspiration from our portfolio, or bring your own ideas and start from scratch. 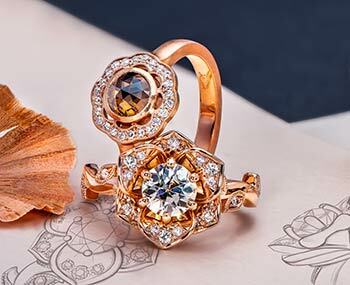 Is the ring of your dreams unlike anything you’ve seen? Consult with our aArtists to design your own original with unlimited options! 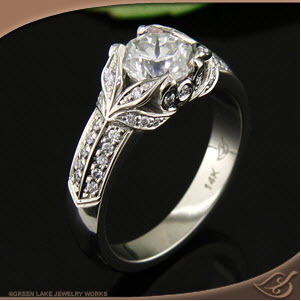 Have a Green Lake Signature Original Design custom made to order. 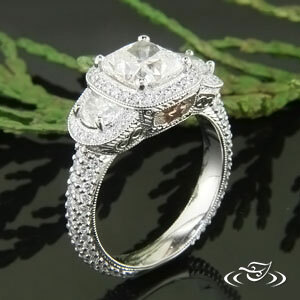 Customize any part of the design: Gemstone, metal, shank style, hand engraving, carved patterns, accent gems and more. Browse our galleries and save your favorites. Then click Ask a Designer, call, or live chat to connect with our world class designers. 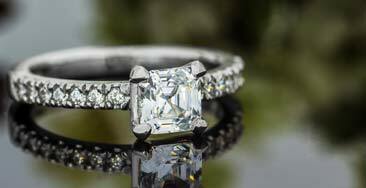 Select from our gallery of finished jewelry and personalize to make it your own! 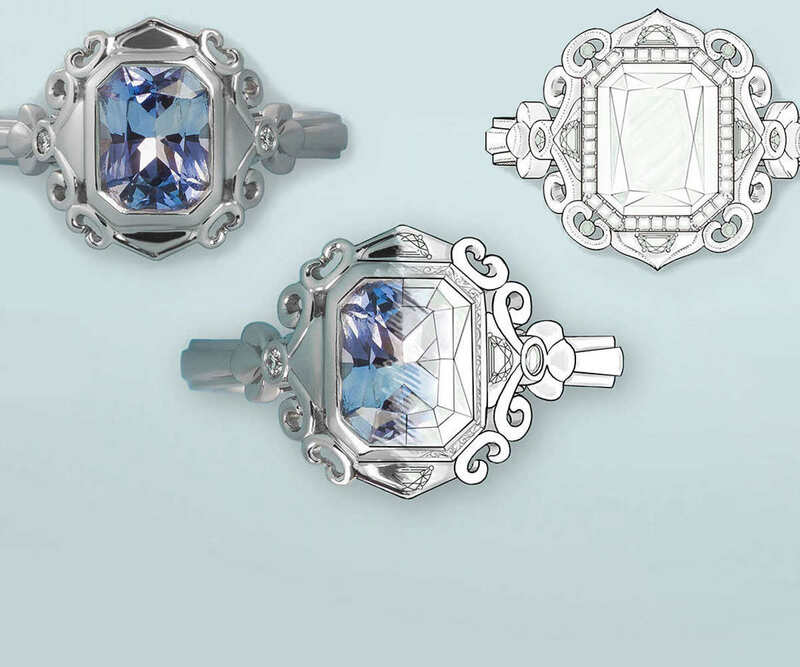 Choose a stock piece and customize with the perfect gemstone, accent gems, filigree or hand engraving. Customization choices vary depending on whether you start from scratch, modify an existing design, or start with an in-stock piece. 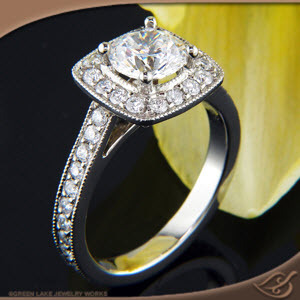 Familiarize yourself with the Design Elements which appeal most to you, then save favorite ring designs to your Design Page. Questions? Call 888.339.1709, live chat, or click "Ask a Designer" for help from our design team. Learn more about designing with us. * - Depends on the design. 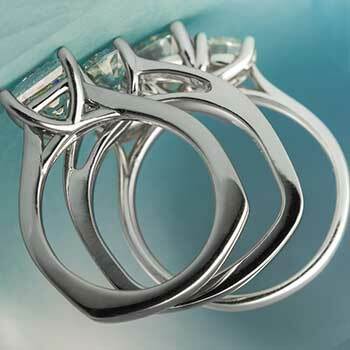 - Add accent gems, engraving, milgrain or a special texture to blank areas of an in-stock piece. 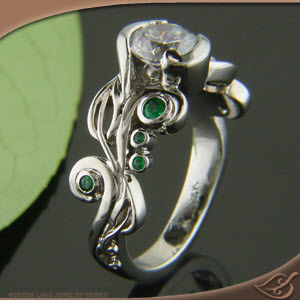 - Add filigree to an open area of an in-stock piece or a custom made to order design. 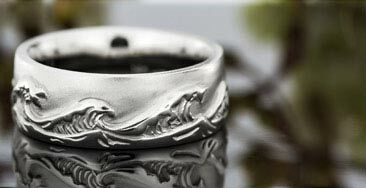 - Change the shank style on any custom made designs. 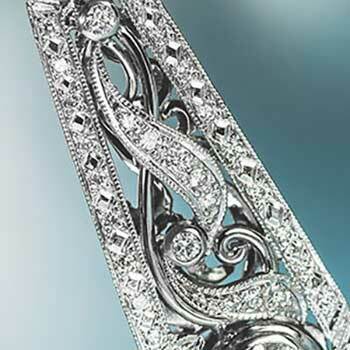 We usually cannot change an existing engraving, filigree or small accent gems on in-stock items. See your designer for questions, we specialize in finding the right solution. 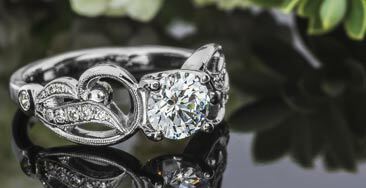 Browse our gallery of 1000's of pieces we've designed and made in our 20+ year history. Tip: Select keywords to narrow your search. Explore variations of any design with the Green Lake Style Findersm. 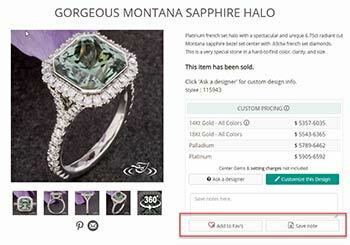 Tip: Adjust keywords in the Style tab to find the perfect design. Tip: Save notes about each design you like. - Have a design custom made to order with almost any changes you like. -Design your own from scratch with help from our design team. 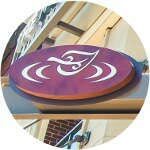 Ask a Designer for design help, questions and price estimates. 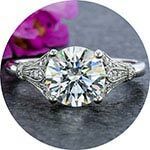 Your Green Lake Jewelry Works Design Page is the easiest way to organize your ideas, save designs and notes, and consult with our designers to create or find your perfect ring. There’s absolutely no obligation in signing up and you talk to a designer here whenever you’re ready! 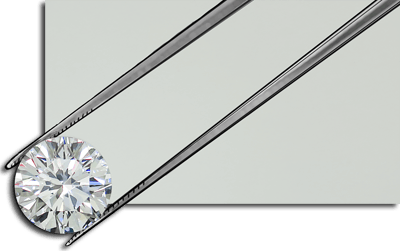 Our GIA graduate gemologists, stone cutters, and gemstone buyers are recognized nationally for their expertise; they’re here to help you select the perfect gemstone! We never purchase gems based solely on lab reports alone, and neither should you. 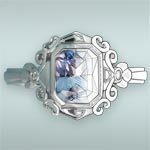 Our buyers personally select every gemstone; we also hand cut many of our sapphires here in our studios. 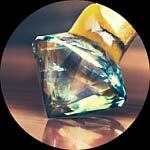 Selecting a gem based on its lab report alone may not get you a beautiful stone. 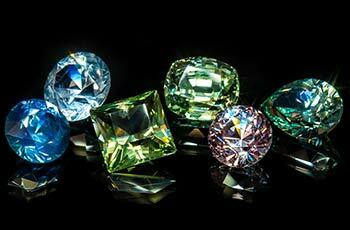 Browse Green Lake’s inventory of hand selected diamonds and gemstones, sourced directly by our buyers for their exclusive quality and superior value. or click Ask a Designer. 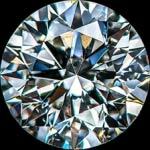 Learn more about selecting diamonds. 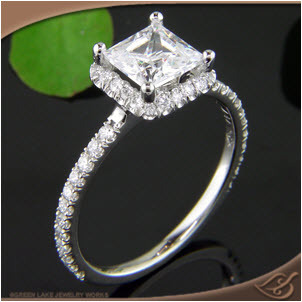 "I want this one with alternating diamonds and sapphires down the sides". 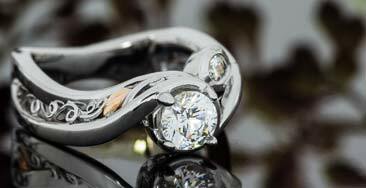 Then click Ask a Designer to get a quote and expert advise. Our in-stock Signature Originals can be customized with accent gems quickly, as we have a live metal foundation to start with. Accent gems can make even the simplest design unique and personal! 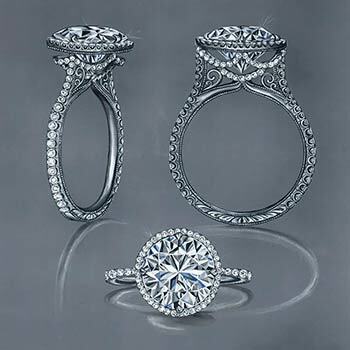 We specialize in unique accent setting styles, from the timeless classics to unique variations created for individual designs. 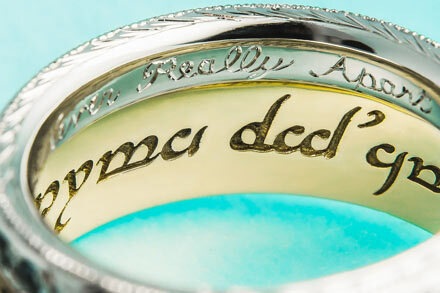 Hand engraving can turn a simple classic into a family heirloom. We have more master engravers in our workshop than almost any other jeweler in America; it’s one of our foremost specialties. 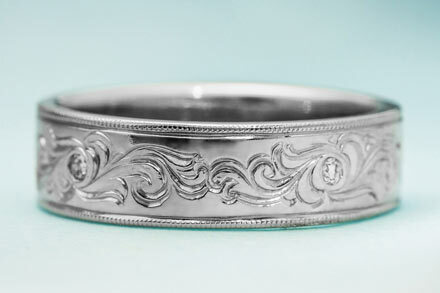 From basic lettering to elaborately patterned motifs, hand engraving lends a personal touch to any piece. 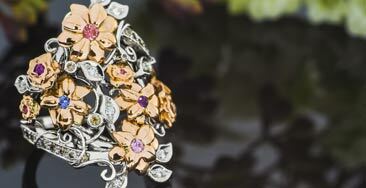 From a secret message on the inside to a favorite flower or custom motif, the options are limitless. Carved patterns are created in the original models and cast right into the piece; they usually have more depth and simpler, smoother lines than hand engraving. These will be in the CAD renderings as well as the wax or grown model so you can see all the details before we cast your piece. 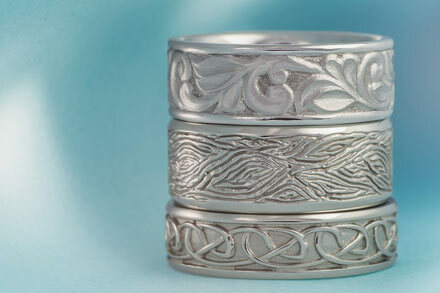 The Difference Between Hand Engraved and Carved and Cast Patterns & Motifs. 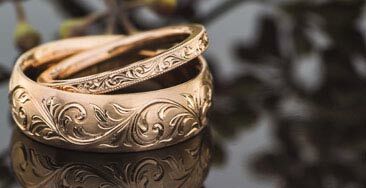 Hand engraved patterns are cut by hand when a piece is nearly complete, whereas carved patterns are part of the model at the very beginning and cast in place. 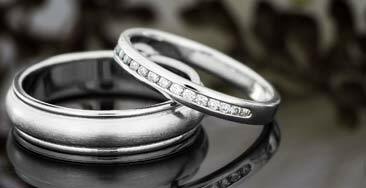 Hand engraving is the done by cutting the surface with finely prepared tool steel or carbide gravers. 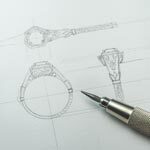 It’s one of the very last steps in creating a custom ring, so we can add engraving to existing pieces any time. 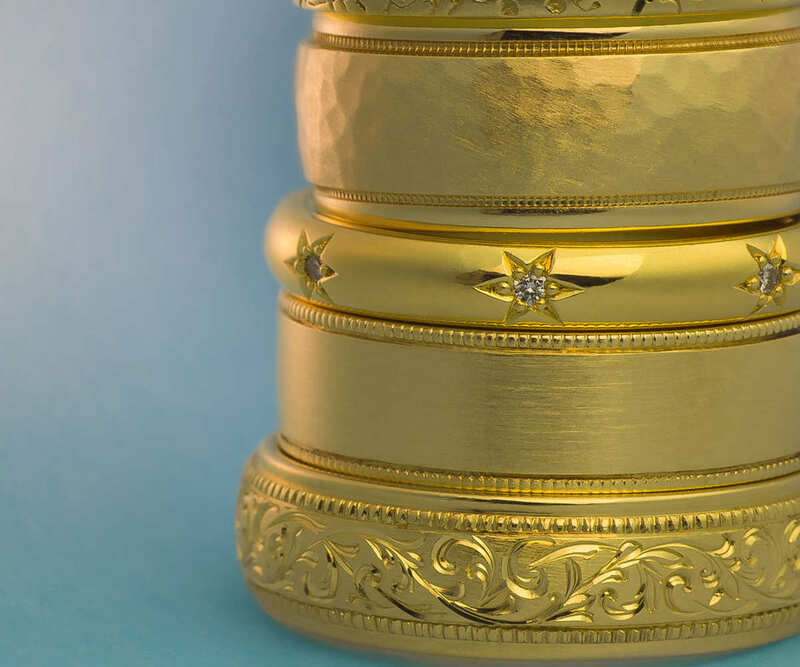 Our master engravers cut every line by hand, and create the most detailed designs imaginable. Carved and cast patterns usually have more depth and are part of the wax model, integrated right into the piece to ensure bolder, deeper elements that last for a lifetime. 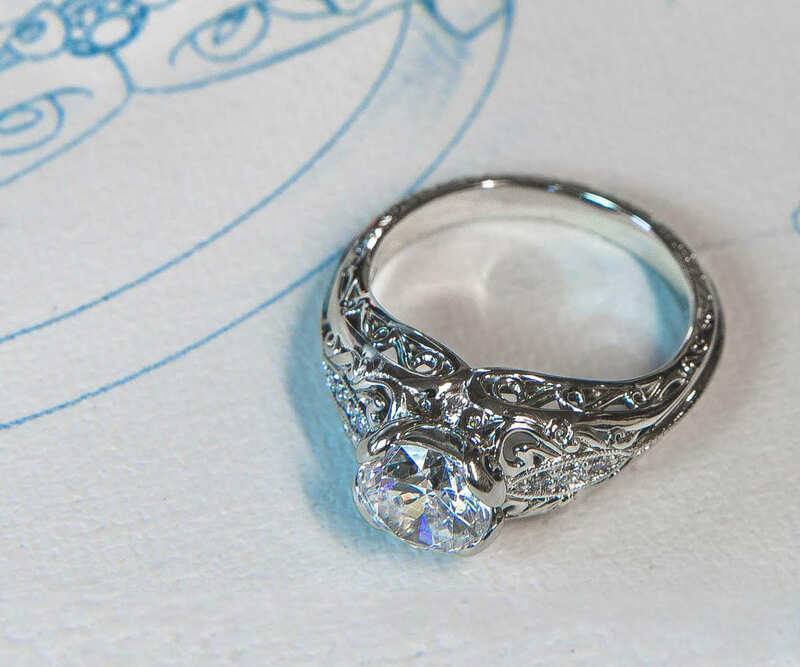 While hand engraved patterns can be so light and delicate that only a sketch can accurately preview what they’ll be like on a finished piece, carved elements are generally in the CAD rendering and wax or grown model. This gives the opportunity to modify the design if it's not "just right" before it's cast and finished. 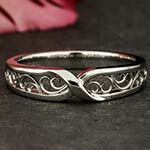 While not all patterns can be modeled in a virtual 3D environment, be they carved or engraved, many can. See your pattern evolve from rough sketches to photorealism before your project moves on to a physical model and finally into casting. Hand done Milgrain ...the perfect detail! 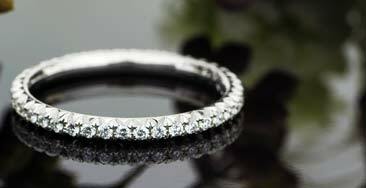 Frame each edge and contour of your ring with milgrain beading to make any design sparkle! Milgrain refers to those fine lines of tiny beads or ‘grains’ that impart a sense of division and structure to the piece. It’s an age-old method of rolling an impossibly small wheel with grooves along tiny ridges, creating delicate and subtle details. 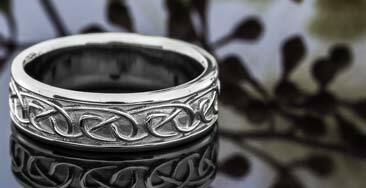 Unlike some jewelers who cast heavy, less detailed milgrain, at Green Lake we do virtually all our milgrain by hand. Fine wire filigree was nearly a lost art until Green Lake and a few other shops around the country brought it back to popularity over a decade ago. 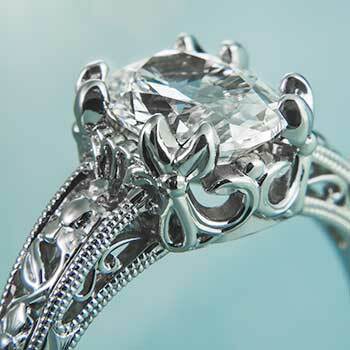 Most "filigree work" in mass produced today jewelry is actually cast in place, not hand made. Cast filigree looks thicker and less detailed; you can't achieve the delicate perfection of hand made filigree wire work by casting. "When Love and skill work together expect a masterpiece." There are no shortcuts to quality workmanship... Compare the details; Many shops no longer even do hand forged work like we offer. Almost all of our bench artists do hand made filigree and forged wire work. Jewelry stores and websites that don't do their own custom work in house cannnot possibly do the finest work. Our designers, CAD modelers, wax carvers and bench artists can collaborate, trouble shoot and do great work because they all work within feet of each other. 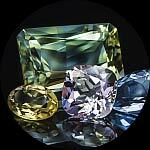 Now you can work with world class jewelry artists directly! 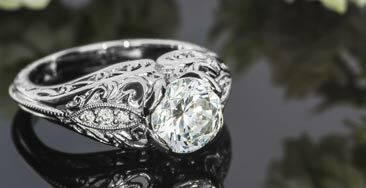 Ask other jewelers and custom jewelry websites where there work is done and ask to see some finished pieces... up close. You'll see the difference that fine hand made detailing makes. 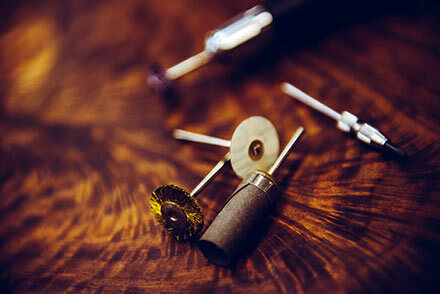 At Green Lake, our craftmen and women work under 10x Microscopes, and each piece is finished out wonderfully. 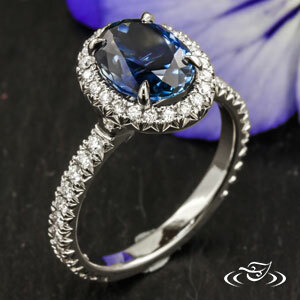 You will see that custom, made to order jewelry at Green Lake is simply more beautiful and well made than mass produced or even "custom made" pieces from almost anyone else. Whether it’s an in-stock piece or a "made from scratch" custom design, surface textures offers a variety of options. From clean mirror polishes to rustic bark-like surfaces, the right finish can make any piece unique. Learn about the range of finishes and which one is perfect for you in our Design Elements section. We cast and fabricate all of our pieces right here in the Seattle workshop, from platinum and palladium to every color of gold. 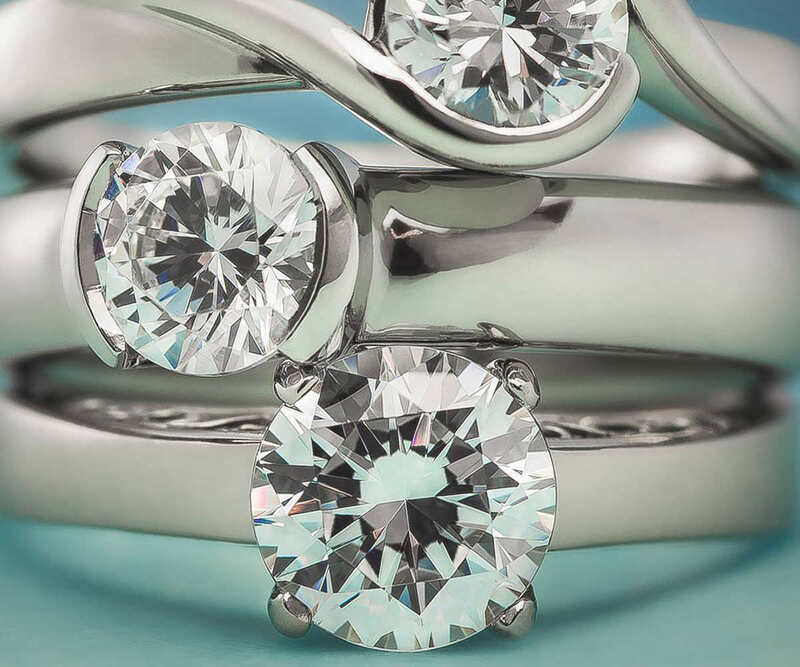 Our white gold is a proprietary alloy guaranteed to be crisper and whiter than any other white gold available. 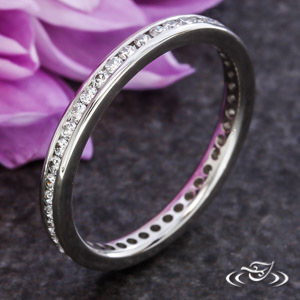 As a matter of fact, it's so white it doesn't need rhodium plating, which wears off and is often done to hide the yellowish tone of traditional white gold alloys. 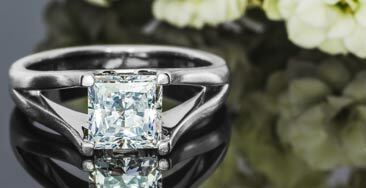 While platinum is every master jewelers' first choice, the metal you select for your custom piece is reflective of your personal taste, budget and how the piece will be worn. 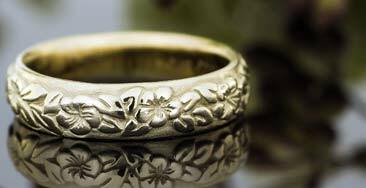 Don’t know which noble metal is the best for your ring? 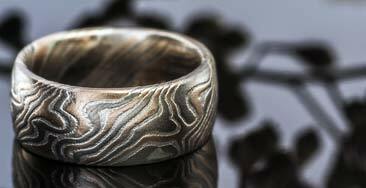 Just Ask a Designer or learn about different metals in our Design Elements section. 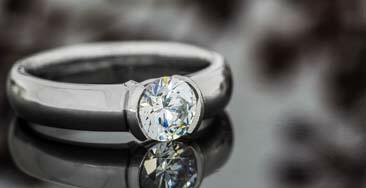 Your finger isn’t perfectly round, so why should your ring be? If you’re wondering why most rings are round when fingers aren't, it’s because round rings are easier to mass produce and resize to fit anyone. 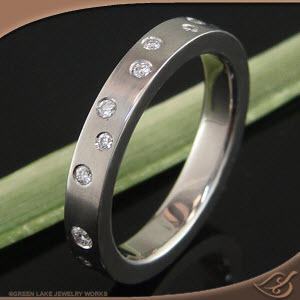 Green Lake is able to make rings fitted perfectly to you. 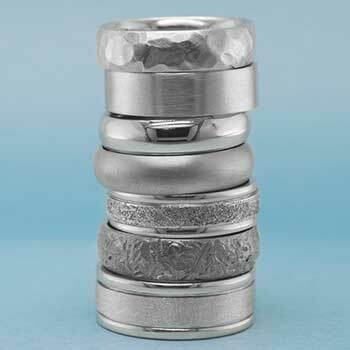 Many of our most popular ring designs are softly squared off at the bottom, in what is commonly referred to as ‘Euro-shank.’ These comfortably form to the natural shape of the finger and don’t turn as much as round rings, especially with taller settings. 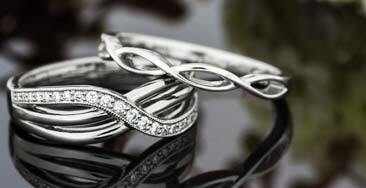 Find perfect ring for you in the Design Elements section. 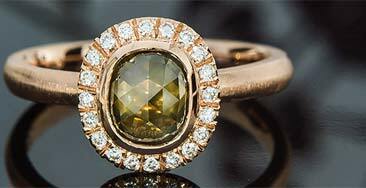 In addition to serving as the focal point of your ring, settings are intended to secure your gemstone for a lifetime of confident wear. 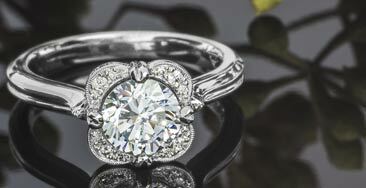 A unique setting style can change the look of a ring entirely: A simple four-prong mounting can keep a ring dainty, a full bezel halo of diamonds may enliven the center stone, or a wrap setting can lend a sense of motion a piece. Whatever setting type you choose, Green Lake designers ensure it will be secure and beautiful, integrated into the design, and never just a head "tacked onto" a blank mounting. 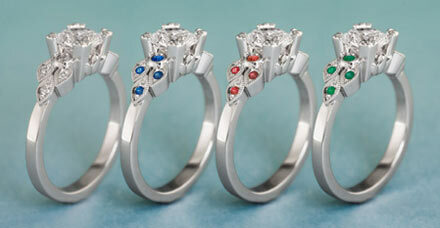 As with so many elements of designing your ring with Green Lake, your options abound. Discover a setting style you love in our Design Elements section. 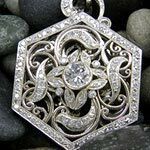 From knotted Celtic patterns to ornate leaf and vine motifs, we have thousands of designs in our online portfolio to choose from. 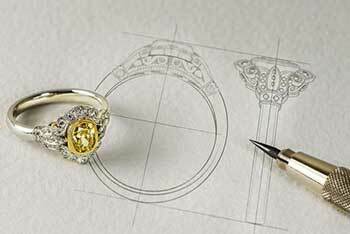 Remember, heavily carved patterns are incorporated into the rings model from the very beginning whereas hand engraved details can be added to any finished piece – which one is right for you? Peruse our online portfolio at your own pace and save a few favorites or upload your own ideas to discuss with your designer . 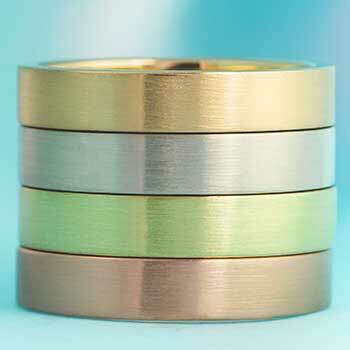 Creating an Original Custom band is easy! - edge style, accent gems etc. Save design favorites, then click "Ask a Designer". You will work directly with with our Artists who'll help you create an Original that's perfect! It seems complicated at first, but we help you choose just the right options...We make it easy to get a true original! 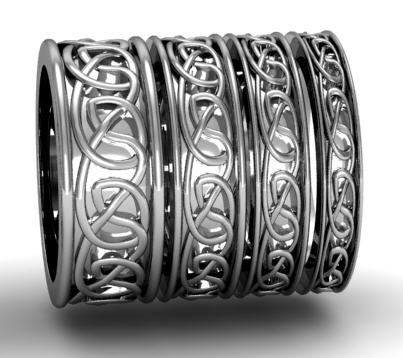 From Celtic knots to mountain scenes to our Uniquely masculine boulder finish we have thousands of ideas..or start a design page and upload a picture and we'll create a new design. We can also make most patterns in different ways (For example, a raised pattern can be hand engraved instead, or turned into a "cut in pattern"... Browse and save anything you like to your favorites and ask your designer for advice. We can widen, narrow or eliminate the side rails, add milgrain or rope work...pretty much any edge treatment you like can be added to almost any design. Like your ring a bit thinner between the fingers? Or maybe you prefer a domed, heavier feel? 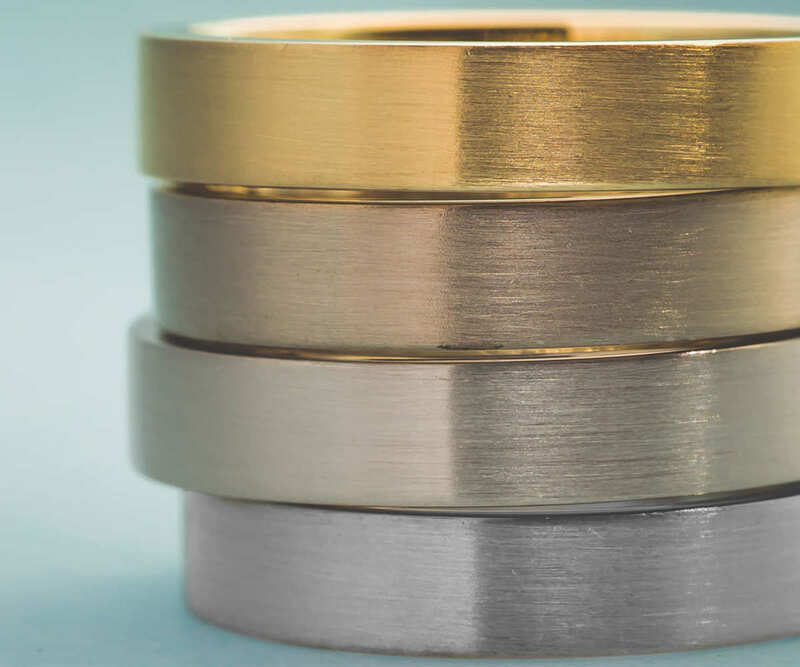 By varying the cross section shape and thickness, we can make a heavy 2000.00 platinum band fit a 1000.00 budget, or a flat ring have a comfortable, rounded inner surface and rolled edges to feel like silk between your fingers. Most designs can have a softly squared Euro shape to fit better over large knuckles, or Big masculine corners for added heft. We do lots of custom shapes as well. 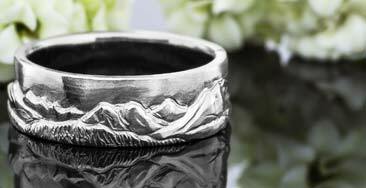 Want a band with the mountains from your trip to Chile? 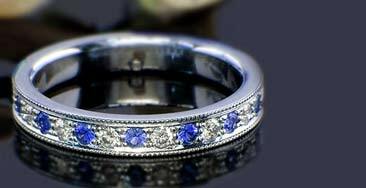 How about adding a tiny yellow diamond for the setting sun, or a row of blue sapphires where that river was? 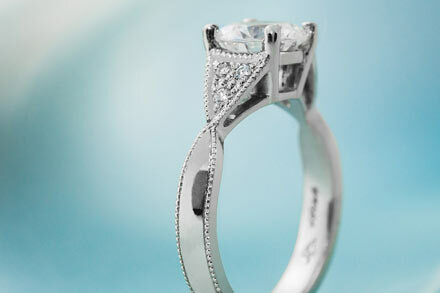 Of course we can add a row of accent diamonds to your wedding band too...just save a design with the look of gems and setting style you like with a short note or ask your designer for ideas. Then click Ask a Designer & get started with our Artists! Great design without great execution is pointless. 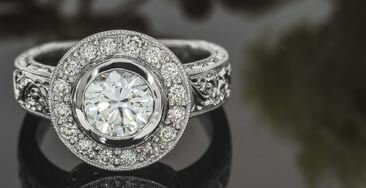 We do all of our manufacturing in house in order to make certain your piece is a timeless heirloom. Working under microscopes, with the best tools and techniques is the only way to make each new piece come to life. From high tech 3D Growing machines, to time tested hand engraving and hand fabrication, we do each step right.